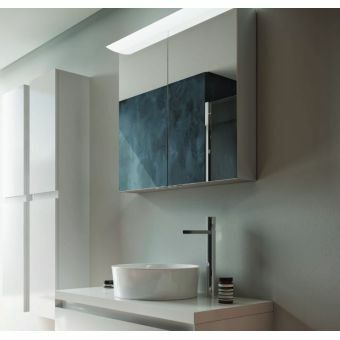 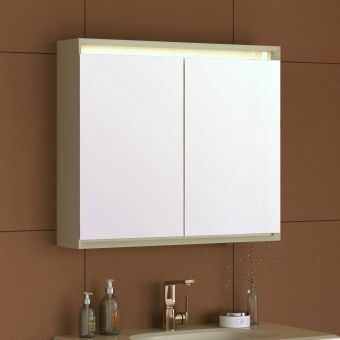 Keeping your bathroom organised, neat and tidy is a key goal for most people and the new, semi-recessed version of the tremendously popular wall mounted model is set to take centre stage. 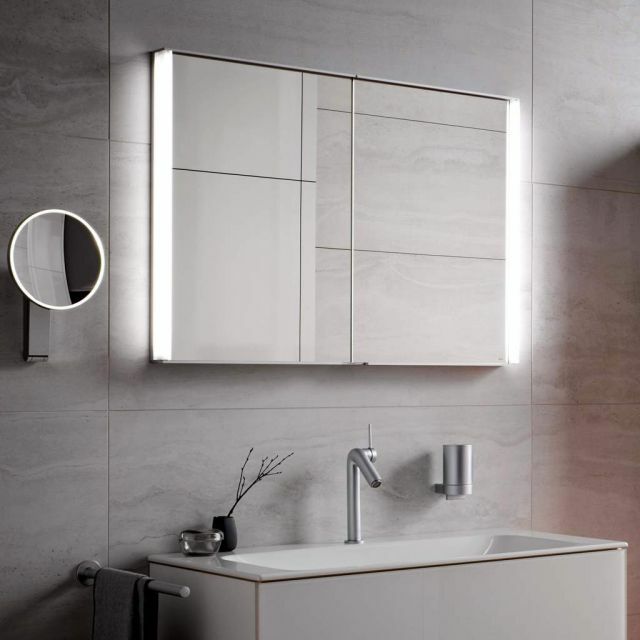 The Keuco Royal Match mirror cabinet has instant appeal as the front only stands 67mm proud of the wall, the rest being sunk into the wall cavity. 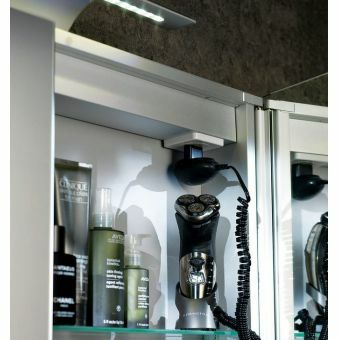 With all the normal Keuco trademark options on show, the double mirrored doors are flanked on either side by thin led strips that offer perfect all-around illumination for doing your hair and make-up. 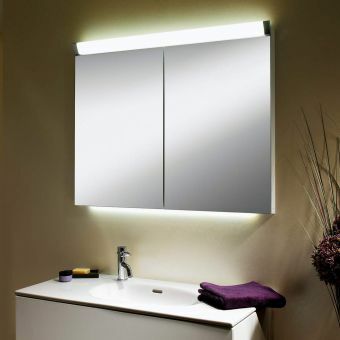 The flattering light of these LED's is on constant view no matter what the position of the doors, and with a startling life-span of around 30,000 hours, they can easily be replaced should it become necessary. 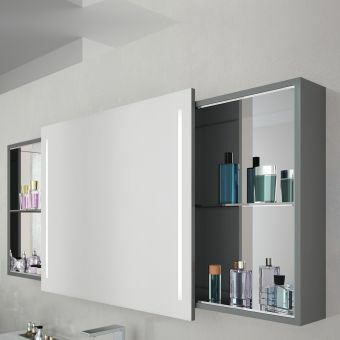 Beautifully crafted shelves inside the cabinet are divided down the middle to allow even more adjustment options. 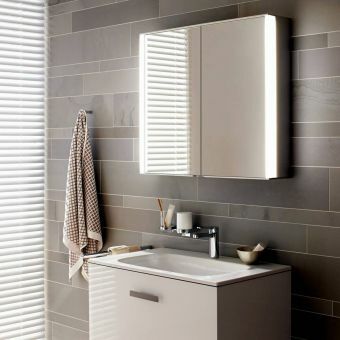 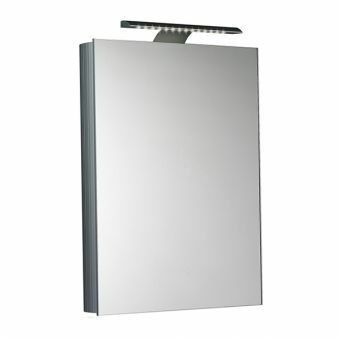 Available in 5 widths from 650 to 1300mm, there is one to fit most people’s bathrooms and will blend easily with the premium aluminium body that sets Keuco apart from the rest. 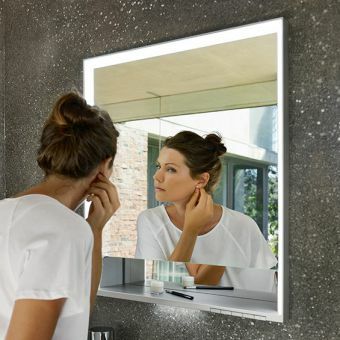 This German masterpiece comes with an internal charging socket for shavers or a toothbrush plus an electronic sensor to switch on the lights. 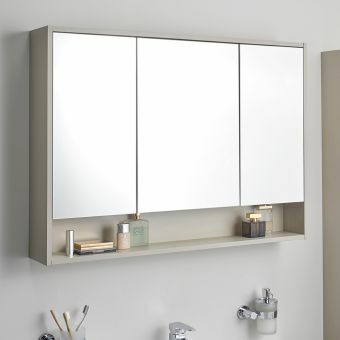 Keuco has thought of everything with this cabinet and you will be thrilled you made the right choice while you admire yourself in its crystal clear mirrors.